What Should You Do When You’re Waitlisted Without Feedback? Update the adcom with new leadership roles. As unfair as it seems, not all b-schools provide application feedback to their waitlisted applicants. You can use the following tips to pump up your application and help assure that the next letter you receive from the b-school is a letter of acceptance. 1. Assess your application. Why wasn’t your application accepted immediately? 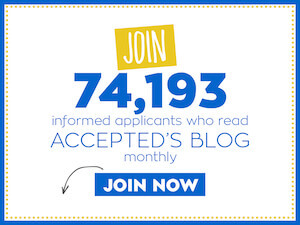 What is making the adcom readers uncertain about your acceptance? A detached review of your application can help you see if any further information can help tip the scales in your favor, and move your application from the waitlisted pile to the accepted pile. 2. Let the school know that you are working hard to improve any areas of weakness. For example, if your abilities as a leader are deficient, show the school that you’ve taken on additional leadership roles in a volunteer organization or at work. If you did poorly in a marketing class, which brought down your GPA, take another marketing class, and let the b-school know about it. 3. Tell the program about new advancements. Let your target school know that you received a promotion at work, had your article printed or received an award from the organization you volunteer with. 4. Be respectful. Assemble all of the above information in a short, courteous letter. Adcom readers will probably just skim over a long, rambling letter. A brief letter, covering all of your points in crisp, concise language will capture their attention, increasing the probability that they’ll read it. 5. Follow directions. If your target school asks waitlisted applicants to update them, then take the opportunity to provide them with pertinent information (as recommended above). Conversely, if the school tells you not to contact them at all, you should do as you’re told and not contact the school. Sending in unsolicited material, regardless of the remarkable strides or inventiveness it shows that you’ve made since submitting your application, won’t be viewed positively, and will work against you. 6. Don’t be a stalker. This tip should be obvious. Even if you are encouraged to provide the adcom with additional updates, overwhelming them with discourteous or constant phone calls or emails is never appreciated. Advice for life: No one likes a stalker. It’s as simple as that. Please see MBA Waitlist 101 for more resources on getting accepted from the waitlist. And if you would like to access the expertise of someone who has helped applicants get accepted from the waitlist, please explore Accepted’s MBA Waitlist Advising Services. • Waitlisted – What Now?